Like Borg and McEnroe, Evert or Navratilova, Federer vs. Nadal, there stood two enemies in the 1990s: Pete Sampras and Andre Agassi. I sided with Pete. Not now. Not in this battle between books. Having read the memoir of Pete Sampras, “A Champion’s Mind: Lessons From A Life In Tennis,” a year ago and having consumed, in just several hours of nonstop reading yesterday, Andre’s tell-all, “Open: An Autobiography,” it’s a no contest. Agassi beats Sampras in straight sets. I love AA’s book. It’s funny. It’s shocking. It’s no-holds-barred. It’s absorbing. So unlike Sampras’ book where, if you ask me now, I can hardly remember anything. Not Agassi. The most colorful character in tennis. He dated Barbra Streisand. He sniffed shabu. He helped “discover” Celine Dion. He wore a wig (deceiving the admirers of his then-blonde, flowing hair). And, to me, the most shocking of all revelations: He despised tennis. His father, Mike, an Olympic boxer for Iran, treated his youngest child like a slave. He allowed him to skip school to play tennis. He forced him to eat, fantasize, work, sleep, study one word: Tennis. Andre hated and loathed and abhorred the game. Unbelievable. Sins? Ahh. The 388-page hardbound book, sent to me by fellow columnist Michelle So and owned by tennis left-hander Atty. Frank Malilong, exposes plenty. The most scandalous of all is Andre’s taking crystal meth. He didn’t sniff the drug for years. He took it maybe a few times. But the fact that he did engage in drugs and lied about it with the ATP officials–then revealed it in this written story is startling. The autobiography also hurts people with its openness. Take Sampras. Agassi insults his arch-rival. First, he describes Pete as more robotic than his pet, a parrot named Peaches. On another occasion, he says Pete is cheap when he tipped a parking valet only $1. 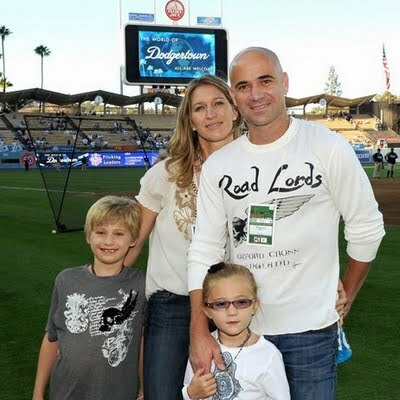 Wrote Agassi: “I envy Pete’s dullness. I wish I could emulate his spectacular lack of inspiration, and his peculiar lack of need for inspiration.” Ouch. 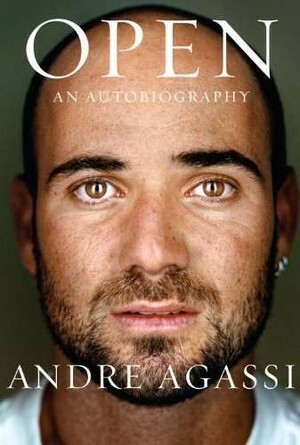 The book also recounted all of Agassi’s major triumphs. His Wimbledon conquest. His Australian Open titles. His U.S. Open victories. His come-from-behind French Open win. But more than tennis-talk, this book was a love story. 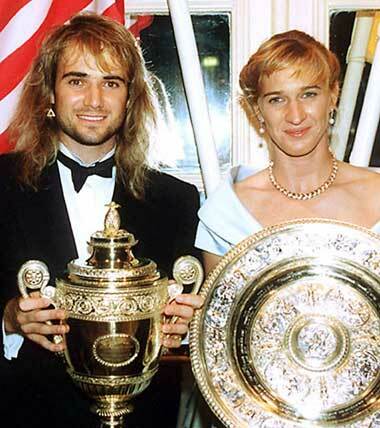 For Agassi is a romantic. A love story not so much with Brooke Shields, his wife from 1997 to 1999, but more so with a player you might have heard of: Graf. Stephanie. For who’d have known, had he not revealed it, that Andre has kept, from way, way back, a secret crush on Ms. Graf? Their love story is titillating. How he sent her flowers (while her boyfriend was there). How he wet the piece of paper with Steffi’s phone number and panicked to retrieve it. This love story I found most riveting. 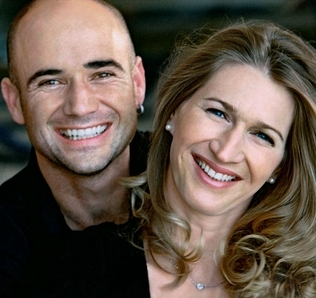 For who would have imagined a better-than-a-movie ending: the only two people to have won all four Grand Slam titles plus the Olympic gold medal… Only Mr. and Mrs. Agassi. In summary, this book you MUST READ. Tennis fan or not, it’s one of the best autobiographies I’ve ever read.